Pacific Fruits has shipped the first ever consignment of Colombian-grown avocados to Saudi Arabia. The first container arrived at Jeddah Islamic Seaport on 1 November. A further two are on the water – one due to arrive next week and the other the week after. “With a population of 35m, the Kingdom of Saudi Arabia is one of the most important markets in the Middle East, and there is a strong tradition of eating fruit – visit any home and you will find a fruit basket for the home dwellers themselves or to offer to visitors,” said the company’s commercial director, Rodolfo Ahumada, who was in Jeddah to receive the first consignment. Consumption of tropical fruits including avocados is on the rise, the main suppliers currently being Mexico, the Philippines, Kenya and South Africa. With a transit of 25 days from Colombia to Saudi Arabia, Ahumada believes Colombia will be able to supply the market with high quality fruit. 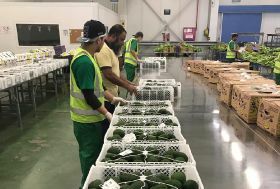 “Provided we can reach the market with the right quality and condition, we are convinced that Colombian avocados will be popular with Saudi consumers and we look forward to developing the market with our customers by delivering a range of presentations showing different ways of consuming the fruit,” Ahumada told Fruitnet. He noted that Saudi Arabia’s excellent transport and logistics makes it the ideal hub from which to supply the rest of the region. “Both Jeddah Islamic Seaport and King Abdullah Port have good terminals where fruit can be easily unloaded and distributed to other countries in the region such as Kuwait, Bahrain, Oman, Yemen and the UAE,” he said. The opening of the Saudi market marks another first for Pacific Fruits. 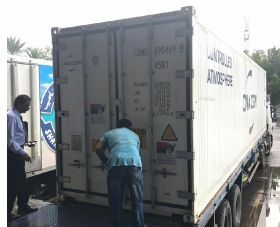 Last year the company made the first shipment of Colombian avocados to Hong Kong and Dubai. “The next markets it is focusing on are Argentina and Japan. “Colombia received an official visit from Japanese plant health inspectors last week and we are confident that the market will open up imminently,” said Ahumada.